At Fluid Systems Engineering, our staff provides professional expedient service and is available to answer any questions that you may have about our products and services. We offer quality and reliable products that you can count on. Visit our Web site for more information about Fluid Systems Engineering. If you have any questions or would like to speak with a representative regarding our products and services, please e-mail us at fse@fluidsystemsengineering.com or call us at 586-790-8880. Originally founded in 1961, Fluid Systems Engineering (FSE) has a long history as a valued source for hydraulic and pneumatic engineering and parts distribution within the automobile manufacturing industry located in and around Detroit, Michigan. 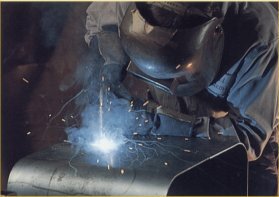 A specialty fabrication shop was started by FSE’s current president, Mark Steiner in 1981. Steiner and two other partners purchased FSE in 1989 and grew the company by combining their individual areas of expertise in fabrication, sales and finance. Together the led the company through various challenges. Once a systems integrator for Parker in Troy, Michigan and later Vickers, FSE had to find resiliency when Parker closed the Troy facility and Vickers sold its operations to Eaton. Refusing to let that hinder their progress, the FSE team went after other business and began doing more repair and on-the-road servicing work in addition to parts sales. This approach proved to be successful as FSE now contracts with many of the automotive industry’s tier one suppliers who build and integrate robotics into the car building process. FSE was purchased by Ritter Technology in May of 2017 and is now a division of Motion & Control Enterprises. Fluid Systems Engineering. Your Resource for Automation Expertise.